What is a Broker Sponsorship? The broker holds your license so you work as an apartment locator, Realtor, or property manager, and broker sponsorship here at Spirit allows you to operate as an independent real estate agent where you can earn higher commission without the confines of a traditional brokerage structure. Does it Cost More to Do Both Residential and Apartment Locating? No, Your sponsorship includes the ability to do one or all of the different areas of real estate that we offer. Property management does have some additional qualifications and expenses, but there is no additional fee for operating as both a Realtor and an apartment locator. Is it difficult to change brokers? The process of changing the license over is a simple process on TREC online services, and you can start working in a matter of minutes. The transfer process with the board for Realtors may take a little more time, but that does not prevent you from working in the meantime. It can get complicated if you are trying to transfer transactions that are under your old broker. Some brokers could make this part of the transfer difficult. How fast can I start working? Upon completion of the signup process, you will be given an invitation from TREC, CRM and Agent Portal access, a new agent packet, and a SpiritRE email address. This process takes very little time and if you have spoken with us directly beforehand, then we can time it so that it is seamless. With any transfer, it is recommended that you notify your current broker and have an understanding about clients and payment of outstanding transactions. However, it is not required, and it will not hinder the transfer of your license. What responsibilities does an agent have? Your responsibilities, outside of what is defined by TREC, as an agent under the sponsorship program, is to generate leads and work your clients through the sales process. We handle all of the administrative duties so you can focus on generating your leads and closing deals! Property manager responsibilities do extend to managing the properties, tenants, and landlords, but we do provide free access to Buildium to managing them much more efficient and organized. Can I get paid for providing leads? Yes, there is a lead market in the CRM and any leads provided by your source will be paid out once payment has been received by the property at a price per closed deal. You are free to set your price to what you feel they are worth. Spirit will facilitate the payment so you will not need to worry about collecting payment from other agents and we will also handle the incentive disbursement if necessary. Realtors are paid directly from the title company at closing via the CDA which is provided through the CRM. For locators, once payment has been received by the property, your client int he CRM will be update and the payment will be sent out at the end of the next pay period. Payroll Check runs are on the 1st and the 15th of each month, with the pay period ending on the 10th and the 25th of each month. You have a choice of payment via check or direct deposit (direct deposit requires a minimum 3 transactions per month). Property Managers are paid out at the end of the pay period ending on the 10th for management fees. $199 will pay for setup and your first 3 months of sponsorship. After 3 months it is $99 per month. The transaction fee is $15 per transaction whether it is apartment locating or residential sales, or leasing. Property manager will be required to pay $5 per property per month that is managed. Are property managers required to use Buildium? Yes, in order for us to remain in compliance with TREC, the broker has required that all properties be managed through Buildium. It will allow the landlords to stay informed and have access to the books, and all of the trust monies, i.e. rents and deposits, are maintained in TREC compliant broker managed bank accounts. Are there discounts for paying in advance? Yes, your first 3 months are $199, but in the even you would like to pay for more, then you can pay for additional months in advance with a minimum of 3 month’s and receive $10 off per month. One year of sponsorship will be charged at a discount of $999. What all is included with my membership fee? You receive a whole list of services along with training, crm, business cards, and much more. Please check out our services page for more information. Is this just for apartment locators? No, we are also members of the MetroTex and Houston Association of Realtors. You can do residential sales as well as property management, but you will be required to join the association. Austin and San Antonio are available as well. Is there a minimum number of transactions? No, you are free to work as hard or as little as you choose. If you are only planning to do a couple transactions per year, then you may consider parking your license with us. Do I have to pay for Realtor fees? If you are planning on conducting residential leasing or sales, yes, you will need to join the one of the boards that we are members of, and pay for your own membership fees and MLS fees. However, if you are an apartment locator and you are only conducting apartment locating transactions, no. The apartment locators are not required to join any board or pay dues. Can I use a DBA? 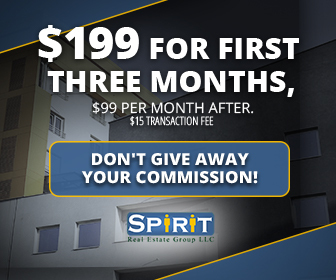 You would be an independent agent for Spirit Real Estate Group, LLC. Realtors and Property Managers can setup a DBA and we can register it with TREC at no cost to you. You would be still working as an agent for Spirit and would need to make sure all advertising meets the TREC rules listed. As an apartment locator you must operate as a “Spirit” agent because all collections and compliance services are for the brokerage and are payable only to the brokerage. We can make the commission checks payable to the DBA, but you would be working as a Spirit agent and setup a DBA so we can list it with TREC. Do I need to contact the properties about my invoices? For apartment locators we handle all of the invoicing and collections. The responsibility of the agent goes to confirming the lease with the property and providing a signed lease verification. Afterwards, our invoicing department will follow up with the property until payment is received. Do you allow other incentives to clients? For apartment leases it is quite common to have an incentive. Spirit will pay out in the form of a check any rebates that have been promised to the client as long as the rebate form has been completed and payment was received from the property. Other incentives like a free move, or packing services, etc… are not facilitated by Spirit and would need to be handled and paid for by the agent. Do you offer a mentor program? Yes, you will be given the broker’s cell number upon sign-up and if he doesn’t answer he will contact you back within 24 hours. Along with the training materials available in the Agent Portal you will have available to you 1 on 1 training, mentorship, and oversight so if you are trying out a new area of real estate like apartment locating or residential sales, we are reachable so you can rest assure that you are on the right path. Can you do commercial real estate? Can you do both apartment locating and residential sales? Yes, and it is all included with your $99 per month sponsorship. Even if you do not have any experience in the field, we have the training and mentorship that will get you up and running so you are not confined to earning in just one area of real estate. Do you allow property management?